Hi there! I hope the beginning of your year has been a smashing success and that you are getting into the groove of things. Today I'm sharing some of my favorite activities for teaching story elements, particularly in grades 3+! 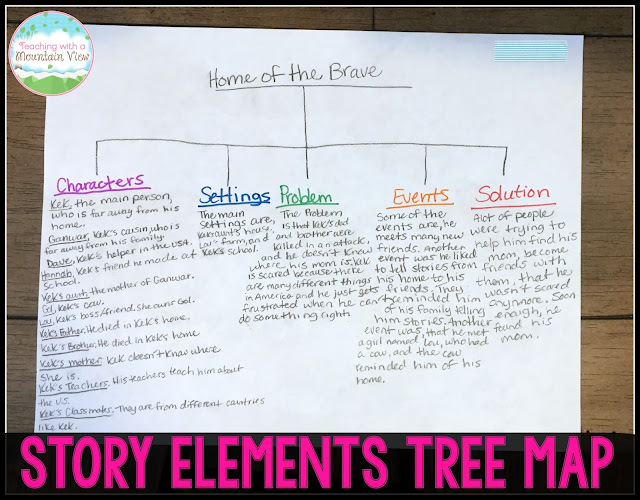 It's one of the first concepts we cover in reading since it's key that they understand story elements in order to move on to more complex topics like main idea and theme! Every year, we start by watching movie trailers on Youtube. I pick movie trailers that I know 99% of the kids will be familiar with (Shrek, Finding Nemo, Little Mermaid, etc.) since the trailers don't show the solution and we will need to know it to talk about it! 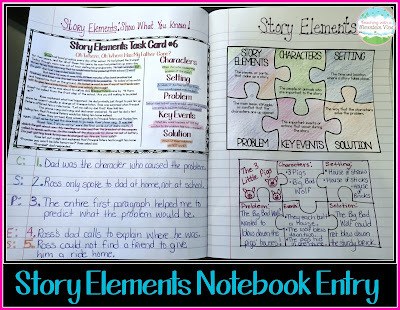 We talk about each of the story elements in the movies. They LOVE this! Then, we move on to our anchor chart and interactive notebook entry so that we have some good notes to reference and we can anchor our learning. I decided to use a puzzle comparison to talk about story elements. 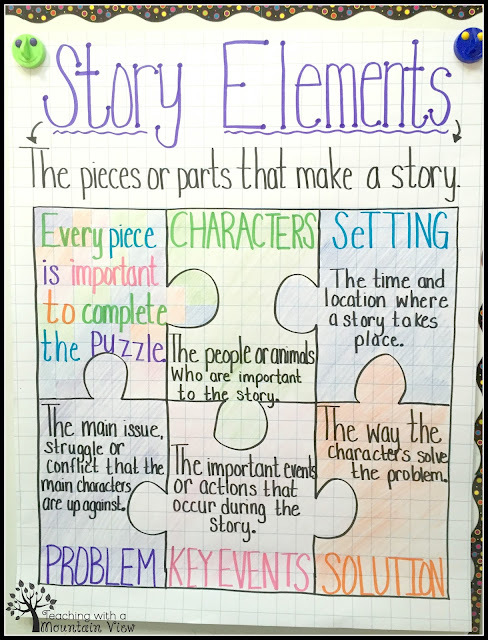 Every story has just about every single one of these elements, so it's important to remember every piece of the puzzle! Like always, they create a similar journal entry. On the templates, I have included one without definitions so that you can make them your own or if you prefer to have kids write the definitions, they can do that. 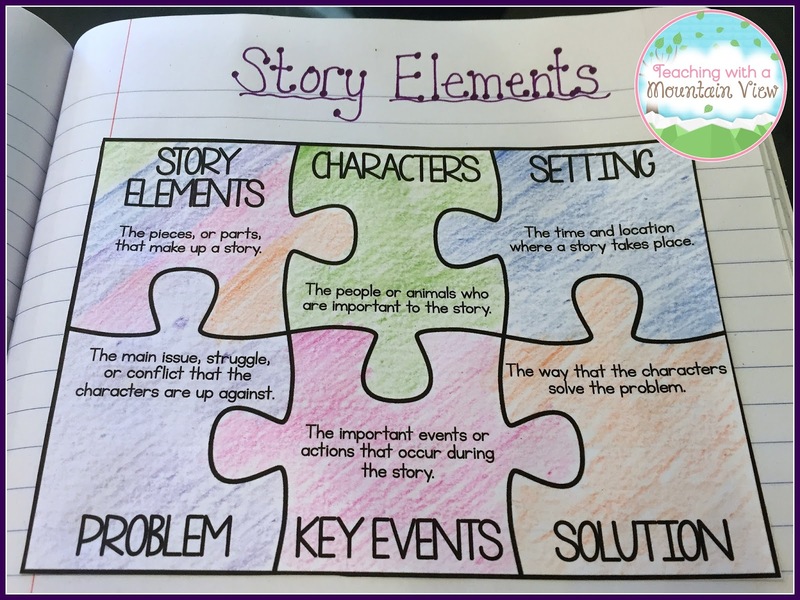 You can download the Story Elements Puzzle Template for FREE HERE! 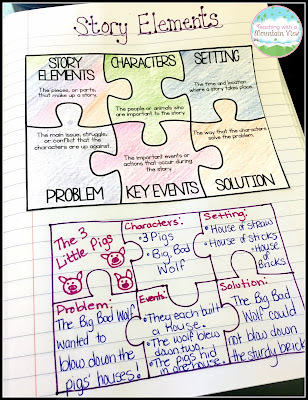 Then, we use another story that almost all students are familiar with, The Three Little Pigs, and we brainstorm the story elements and put them into our puzzle. Most of the time, we don't even read the story, we just complete the puzzle based off of memory. They love this, and it's a great way to get started. They are solidifying the concepts before they have read anything! 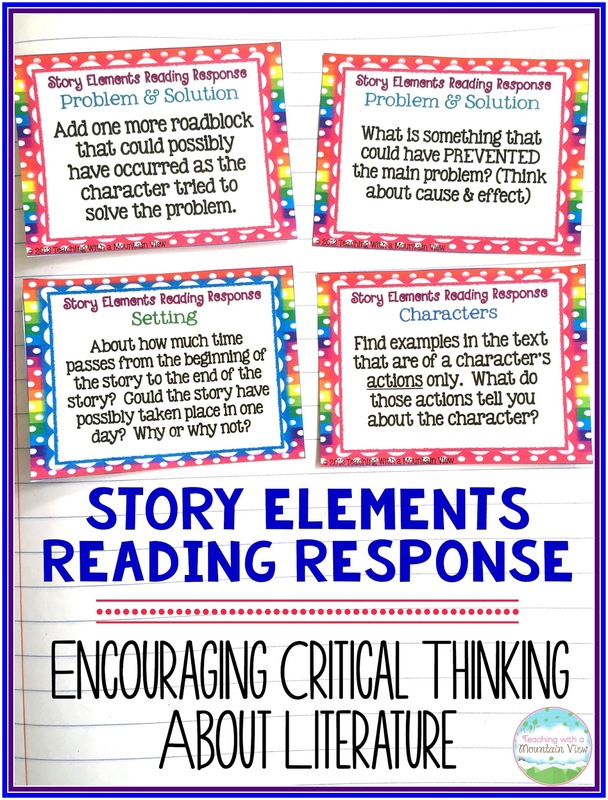 But of course, we are doing all of this with the purpose of preparing them to apply it when they are reading, so we move on to very BRIEF passages to review story elements in texts. We play a game of SCOOT with my multiple choice Story Elements Task Cards so that they can get in a lot of practice identifying the different story elements in a short amount of time. Since they are multiple choice, they are perfect for a game of whole-class SCOOT. You can purchase the Multiple Choice Story Elements Task Cards HERE! 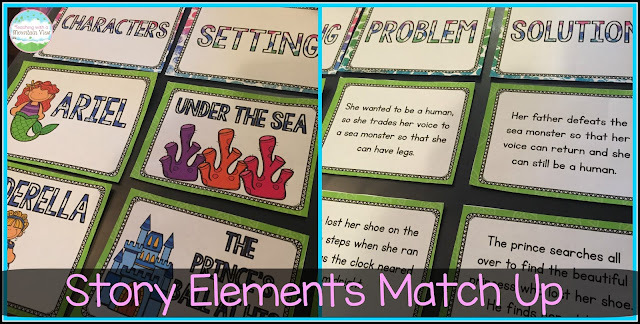 Next, it's on to our Story Elements Match Up! I have two different versions of this, one that includes basic one liners for the problem and solution and the other that is more of a paragraph describing the problem and the solution. They use fun fairytale and pop culture themes. You can use both sets to differentiate or you can use both sets with all students to scaffold! You can download the Story Elements Match Up for FREE HERE! After all of this work, they usually are starting to cruise! 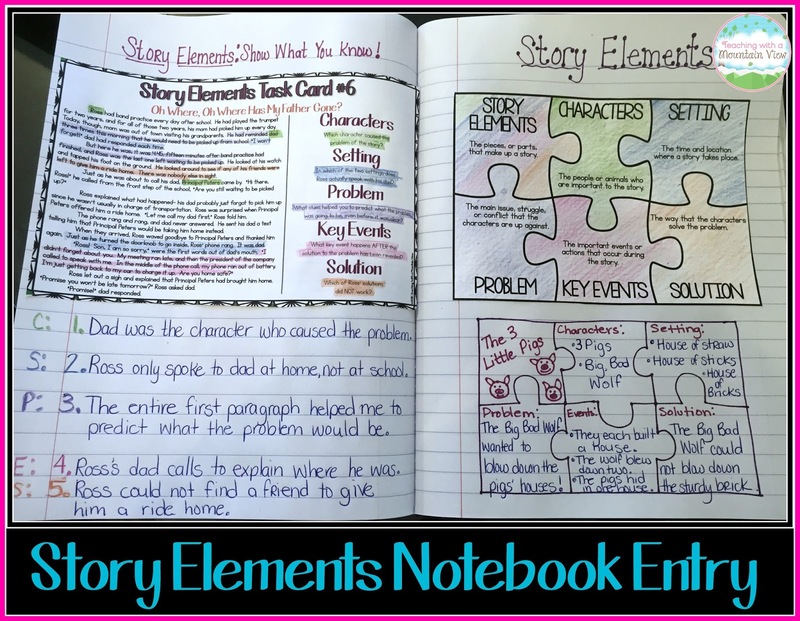 Once they have a solid grasp of the concept, I give them one of the extended Story Elements Task Cards to do on the left side of their notebook. There are two versions of this, so for the kids who truly understand it, I give them the version shown below. For students who need a bit of extra help, I give them a simpler version with basic identifying questions about each story element. I usually have them complete several more of these cards as homework, in centers, as morning work, etc. They are great for review throughout the year as well. You can throw one on the document camera and complete it as a whole class, too! 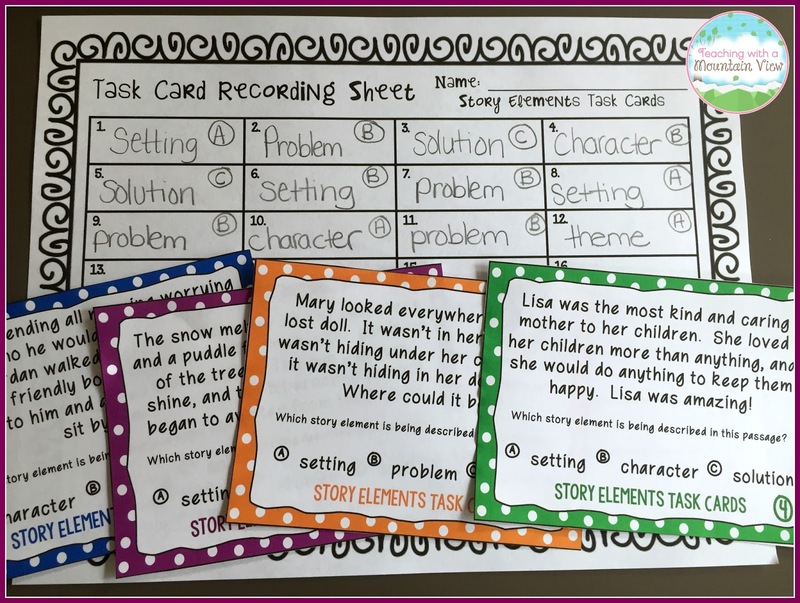 You can purchase these Extended Differentiated Story Elements Task Cards HERE! At any given time during our units, we are always working on a novel. During our story elements unit, one of the culminating assignments I have them complete is a story elements tree map from Thinking Maps. Here's an example of one of the tree maps my students made. 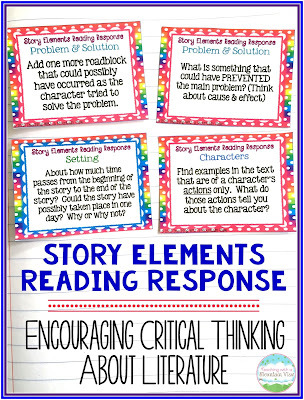 You can purchase the Story Elements Reading Response Task Cards HERE! 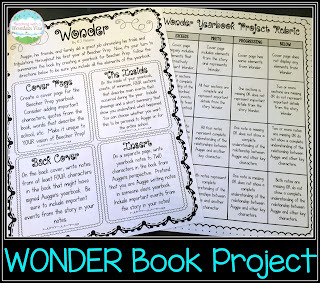 FINALLY, before I leave you with MANY more Story Elements activities from around the World Wide Web, I want to share with you a book project for Wonder by R.J. Palacio. I fell in love with this book, and I absolutely can't WAIT to have my students read it and complete this yearbook project! I'd love to hear feedback about it and see final pictures. I'll post pictures of ours soon, but I know a lot of teachers teach this as one of their first books, so I wanted to offer it up now if it might help others! Wonder is also a fantastic book to use to story map the story elements since there is a pretty clear overarching problem and solution as well as several main events. 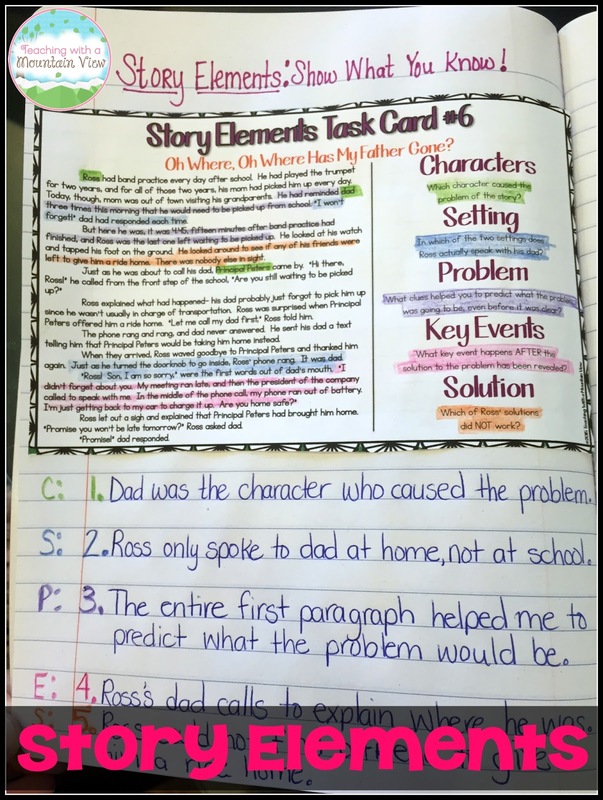 This project also lends itself well to identifying the story elements within the writing that the kids will do. 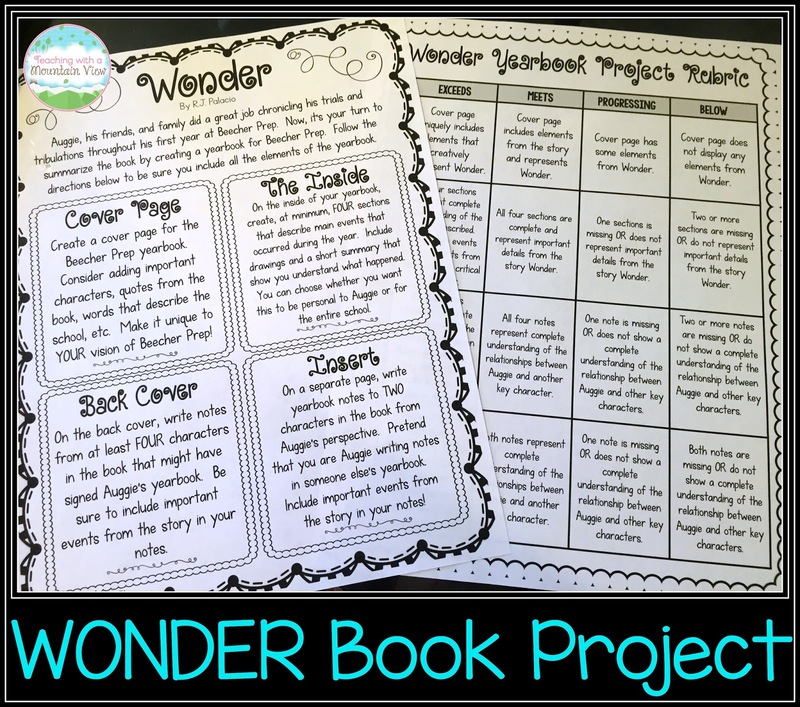 You can download the WONDER Book Project for FREE HERE! 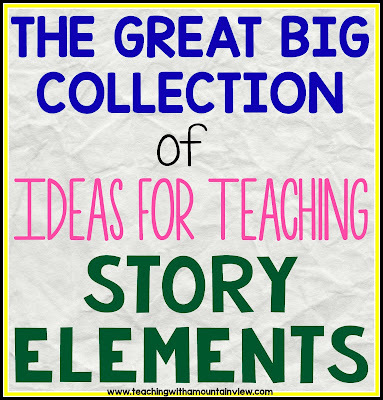 And now, here are even MORE awesome activities for teaching Story Elements! Click each image to read more. 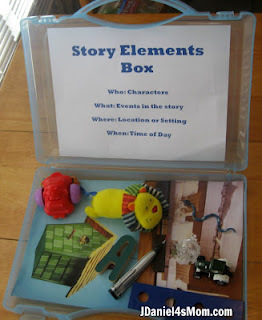 LOVE this Story Elements Box! What a great idea. 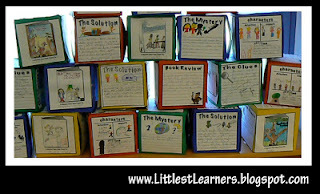 These Story Cubes would be a great culminating activity for story elements! Story Sticks are the best! 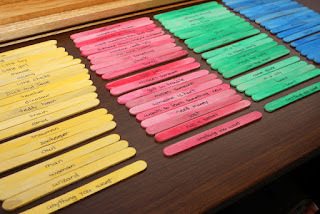 You could use regular popsicle sticks to make it a game, where students have to figure out if each stick is a problem, solution, setting, etc. 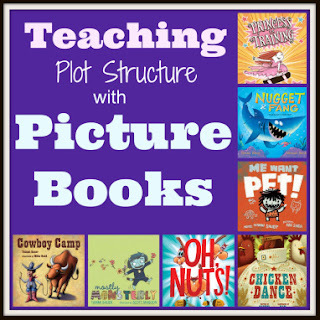 Here is a fantastic lesson for when you are ready to dig a little bit deeper into plot structure! Here's another take on the story elements cube-- but it's a story elements kite! How fun is this Follow the Yellow Brick Road Story Telling Map? Excellent to get kids up and moving! 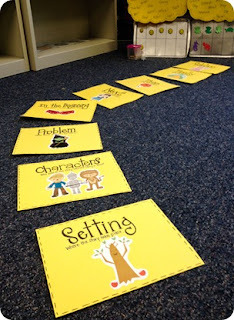 What a FABULOUS idea for an anchor chart to keep up and keep reusing all year long! You can use sticky notes to change it for each story. 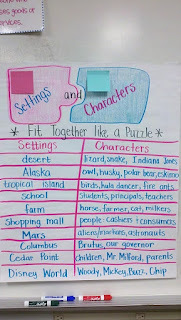 Here's another stellar Story Elements Anchor Chart that shows connections between settings and characters. 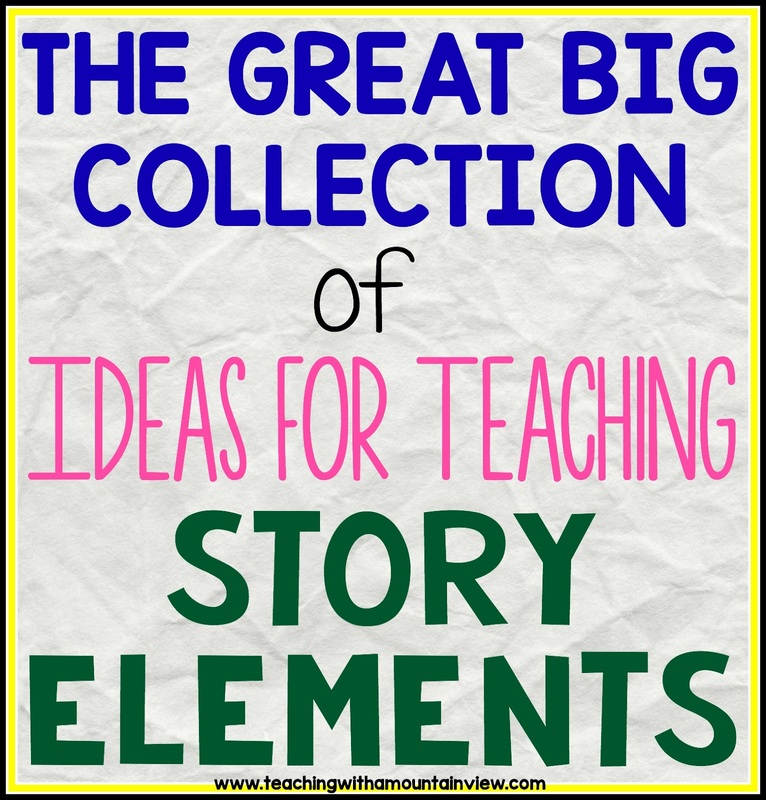 Her entire blog post about story elements is great, too! It's the perfect time of year for these Plot Pumpkins! Lovely!